One of the things I like to do every day is go to Pinterest and save images I like. Mostly they are of cats, bears and elephants. Sometimes birds. 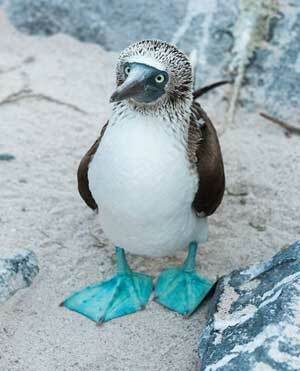 Today I found this one called a Blue footed booby that I thought was perhaps “fake” but this funny guy actually exists! 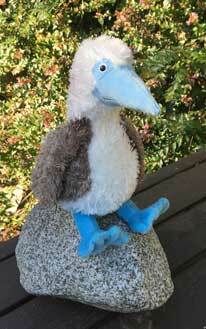 I shared it with my sister, Euli – thinking she might not believe such a funny fellow was actually real – and not only did she say she knew it was but she sent me two pictures of her own stuffed little blue footed booby that she got from the National Wildlife fund. 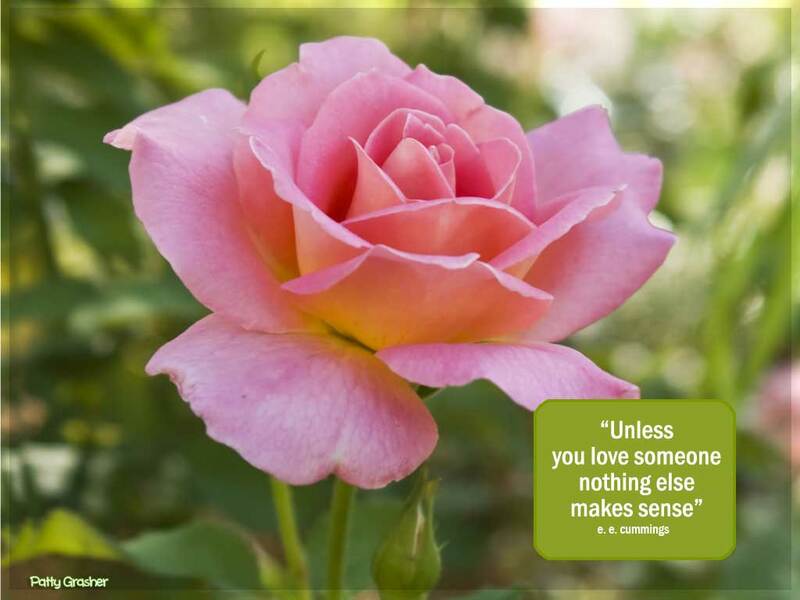 So I am sharing with you – because both the real one and the stuff one are just too cute not too! 1. Two DVD’s as a birthday present! Fun. 2. Cooking my first pot roast! Smells delicious. 3. Good news from artist friend, Riley Donahue who is going to illustrate next puzzle book. Yippee do dah!